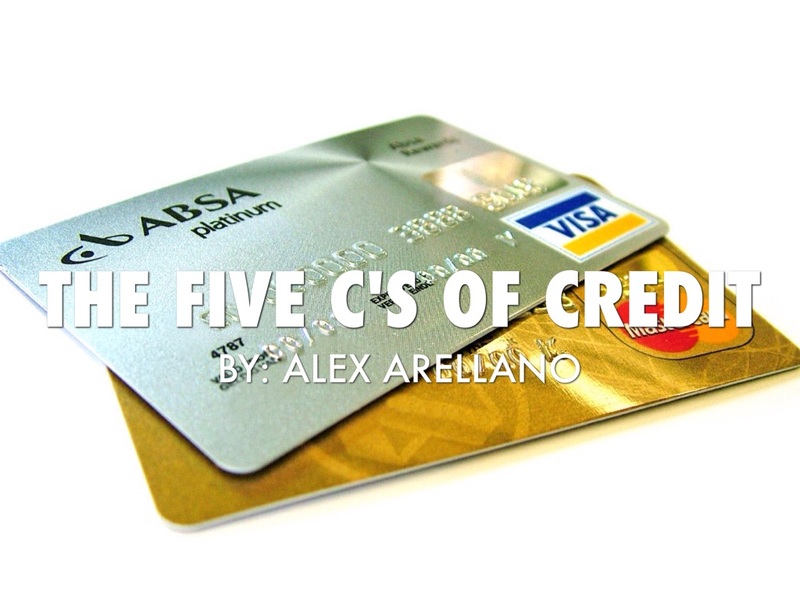 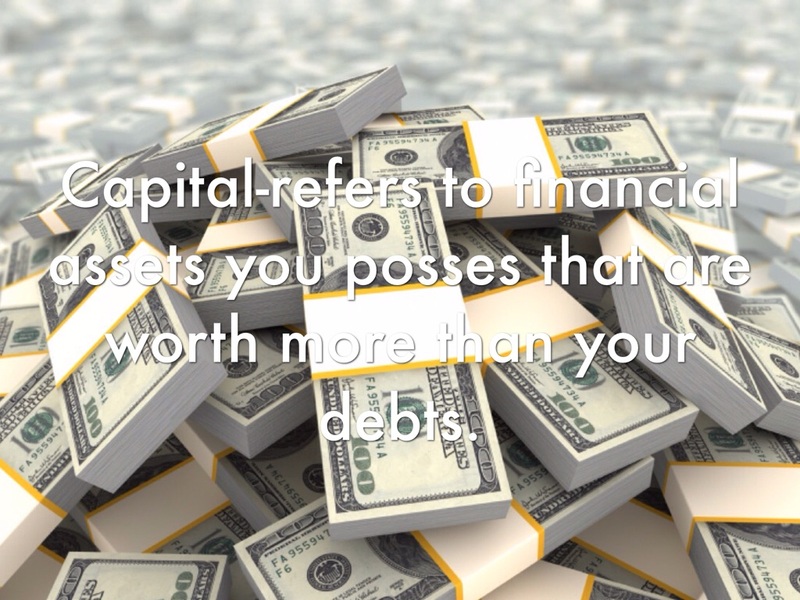 Capital-refers to financial assets you posses that are worth more than your debts. 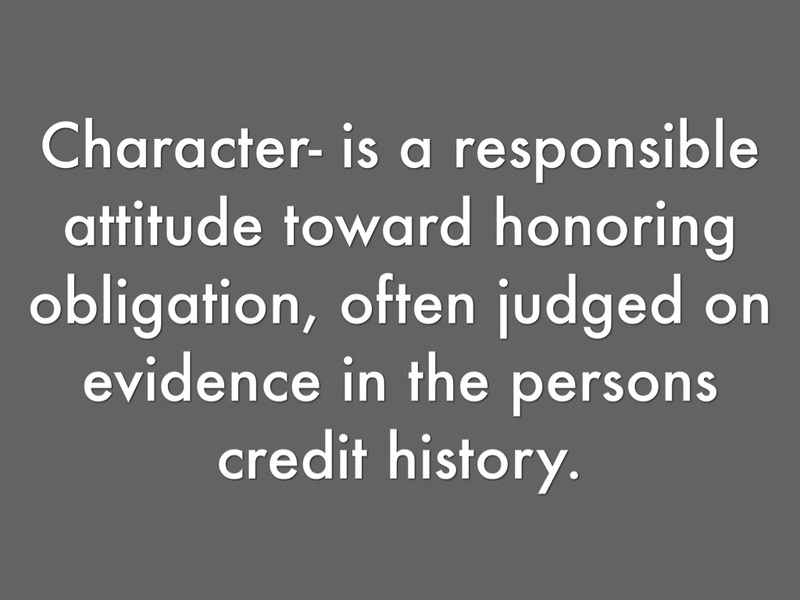 Character- is a responsible attitude toward honoring obligation, often judged on evidence in the persons credit history. 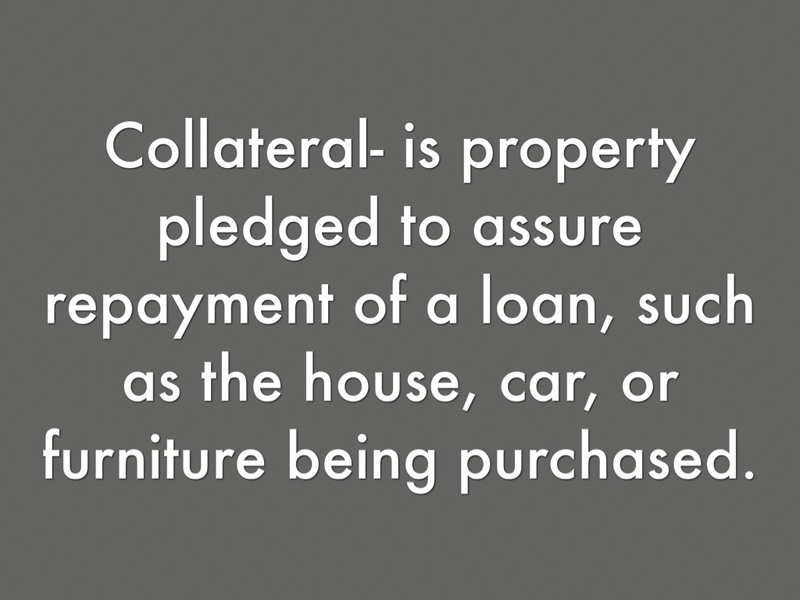 Collateral- is property pledged to assure repayment of a loan, such as the house, car, or furniture being purchased. 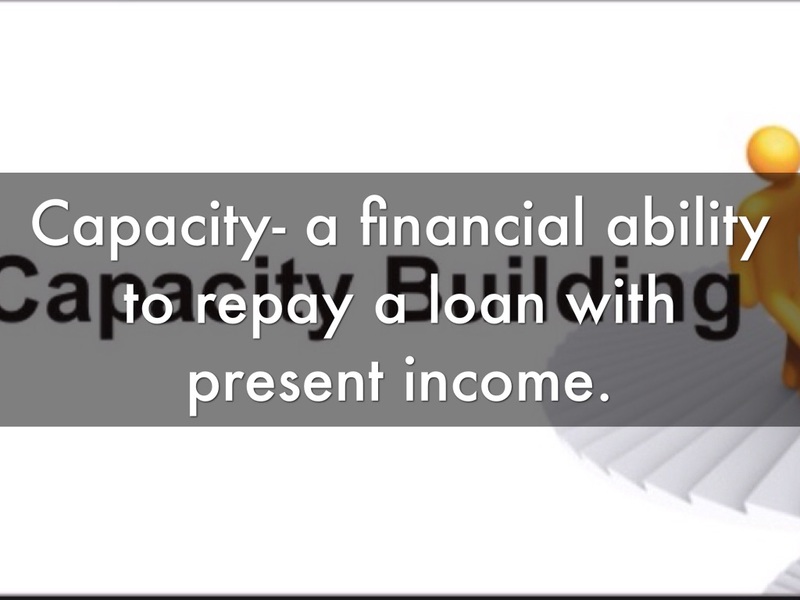 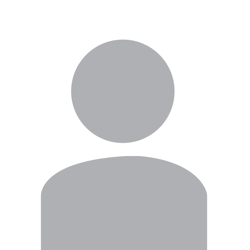 Capacity- a financial ability to repay a loan with present income. 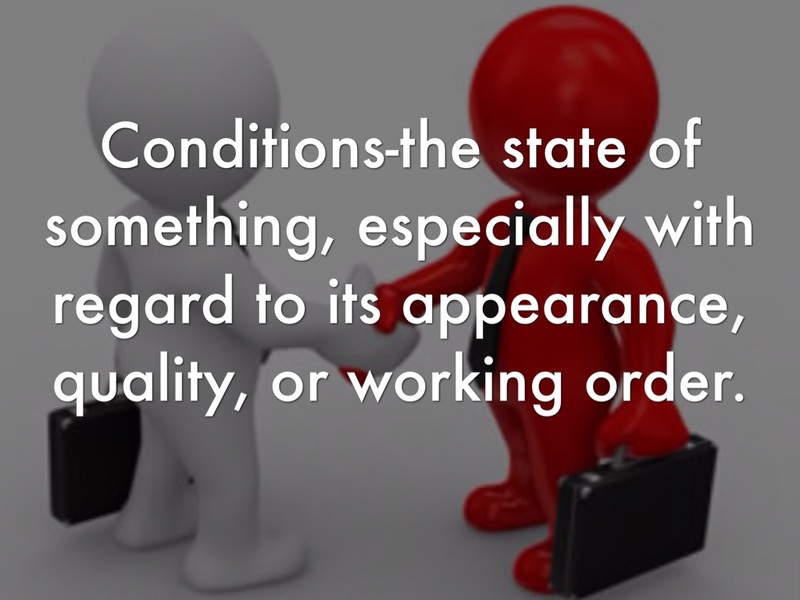 Conditions-the state of something, especially with regard to its appearance, quality, or working order.